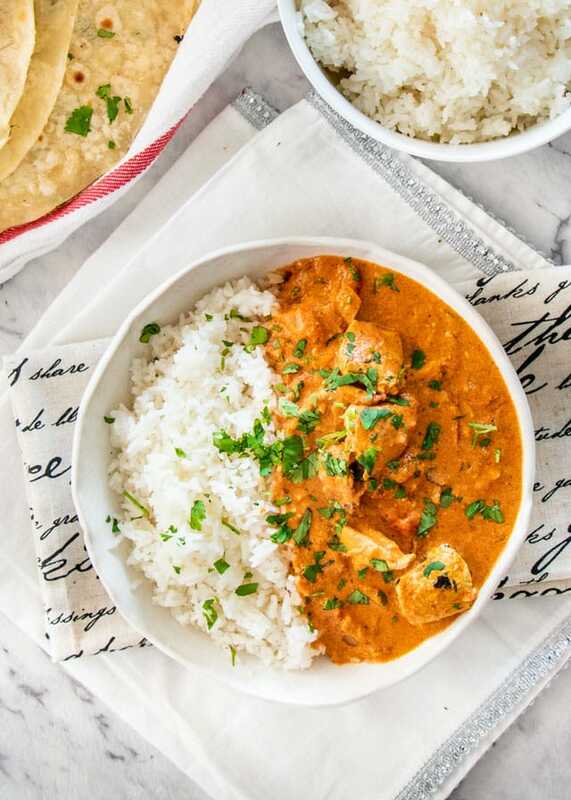 This Instant Pot Chicken Tikka Masala is one hundred percent made from scratch, super flavorful, tender chicken, delicious curry and always a family favorite! 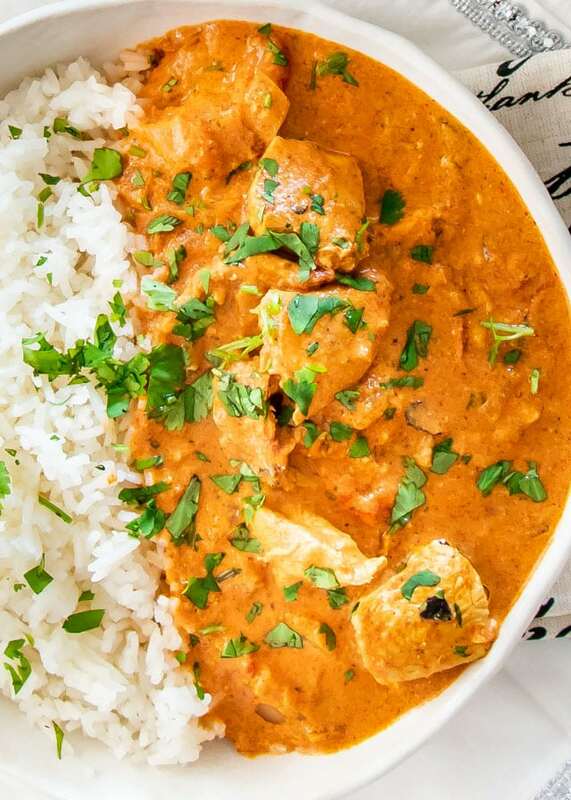 The Instant Pot prevails again with this incredible chicken tikka masala. 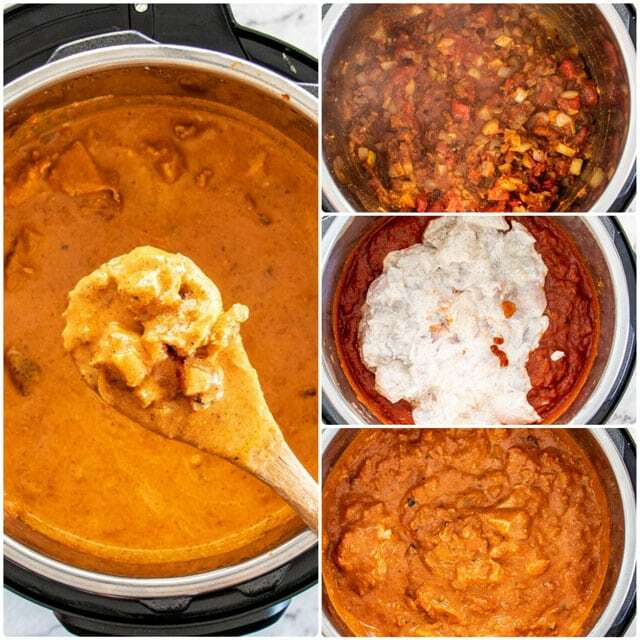 Who knew that it could be this easy to make chicken tikka masala right in your home and in your beloved Instant Pot. I did, because once again I’m showing you another popular favorite and how easy it is to make. The question you must be burning to ask me is whether or not you could truly have restaurant quality chicken tikka masala made at home. Of course you can. Don’t let Indian food scare you from trying to make it yourself. It really is not difficult to make at all. You just need a few good spices that are commonly used in Indian cuisine, and your Instant Pot. But what is chicken tikka masala? It’s chunks of marinated chicken that’s been roasted or cooked in a tandoor oven, and finished in a spiced curry sauce. If you haven’t had this before, it’s a must, a truly delicious flavor-bomb and popular Indian dish. That is probably the most popular question I get on any Instant Pot recipe and the answer is simply YES, of course. The Instant Pot is simply our skillet or whatever pot you choose to use, and it just helps us in cooking the chicken faster and under high pressure. When the chicken is cooked under high pressure, the flavors become more intense and the chicken gets thoroughly infused with all the spices used. 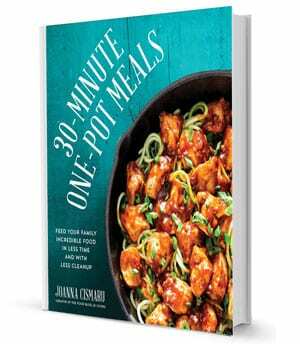 But you can always replace the Instant Pot with whatever you have, such as a skillet or Dutch oven. If that is the case, I would strongly recommend charring the chicken first as mentioned in the TIPS below. I prefer to serve this over steamed rice, my favorite being Basmati or jasmine rice, but any long grain rice would do. I also love to serve this with my fresh homemade naan or roti. Recipe for roti will be coming soon. Boneless skinless chicken breast is the most popular choice when making chicken tikka masala, but whenever I specify chicken breast or chicken thighs, I always get asked can I use chicken thighs instead or chicken breast instead. The answer is YES. Personally I prefer the thighs because it’s a juicier more flavorful meat but I wanted to show you in this recipe that both cuts of meat work, either separately or together. A true chicken tikka masala has the yogurt marinated chicken cooked in a wood or charcoal fired tandoor until the meat is thoroughly charred. Since we’re doing this in the Instant Pot we’re skipping that part, however keep in mind that you can still do that. To achieve that char flavor, you could use your grill and really grill the meat until it’s charred if not almost black, which should happen fairly quickly because of the yogurt marinade. 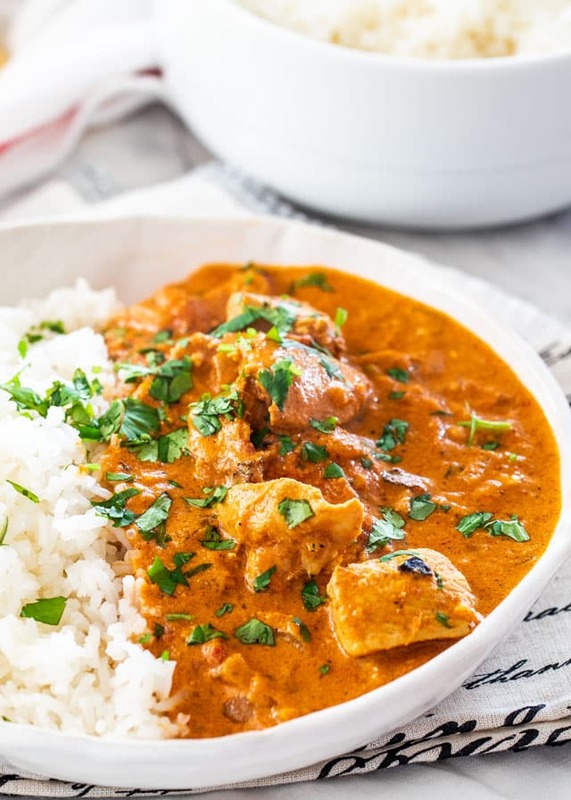 Another common characteristic of chicken tikka masala is the marinade. The chicken is marinated in a yogurt and spice marinade anywhere from 30 minutes to 48 hours. The marinade needs that lemon juice and yogurt to tenderize the meat, plus copious amounts of ginger and garlic for additional flavor. The last but not least element of a good chicken tikka masala is of course the sauce, which for me, is my favorite part. 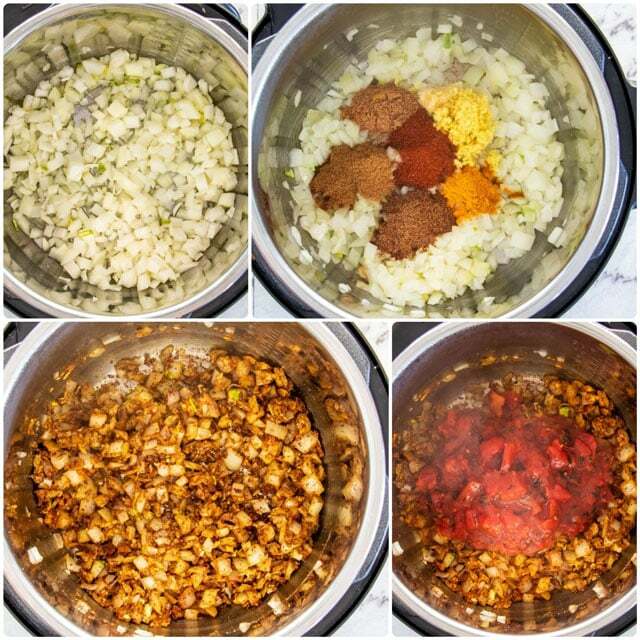 The base of any chicken tikka masala is the ginger, onion and garlic which are a must. Tomatoes are then added for color and flavor and finally all our delicious spices. 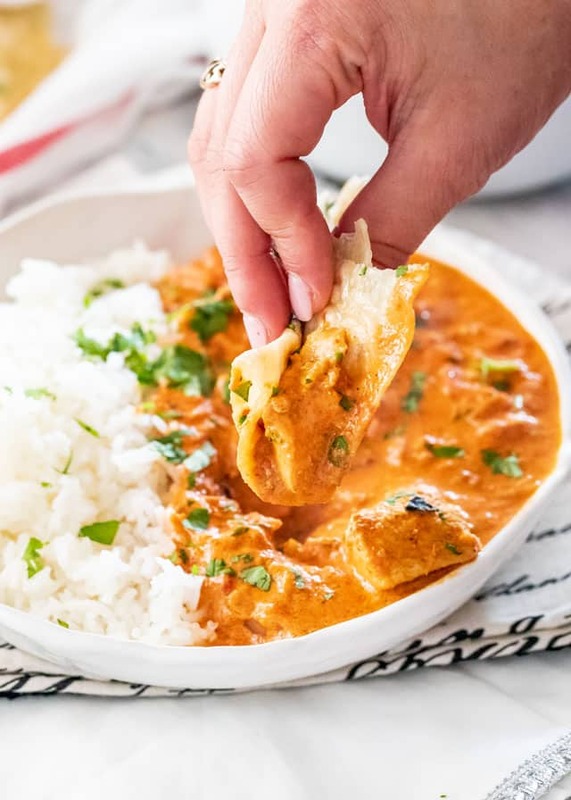 Probably any recipe you find online will have its own spice blend but popular spices found in a chicken tikka masala are turmeric, chili powder and coriander. 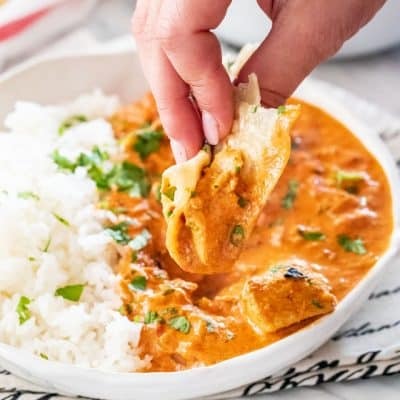 Combine all the chicken tikka ingredients together in a large bowl and mix thoroughly so that each piece of chicken is fully coated in the yogurt mixture. Cover with plastic wrap and refrigerate for at least 30 minutes up to 48 hours. Add the vegetable oil, onion, garlic, ginger, turmeric, garam masala, coriander, cumin, and chili powder. Stir and cook for 3 to 5 minutes, until the onion softens. Add the fire roasted tomatoes, tomato sauce and stir. 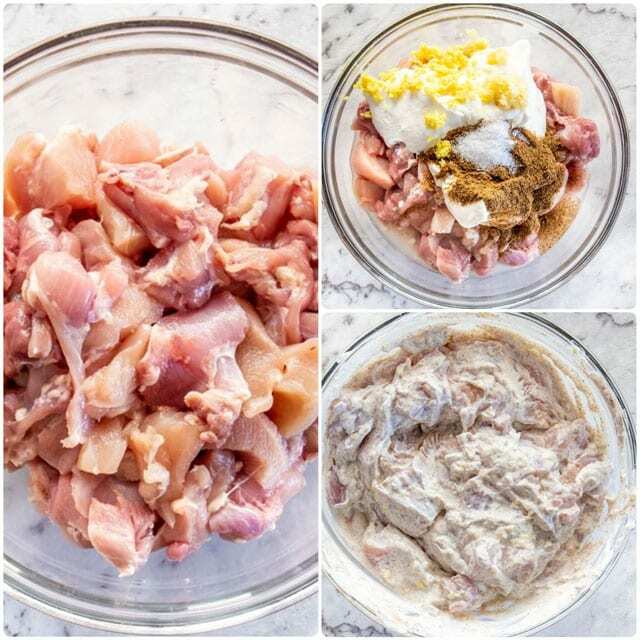 Add the chicken to the Instant Pot, including all the yogurt marinade and stir. Close the lid (follow the manufacturer's guide for instructions on how to close the instant pot lid). Set the Instant Pot to the Poultry setting and set the timer to 5 minutes. Add the half and half, salt and butter and give it a good stir. The butter is added to smooth the sauce. Garnish with cilantro and serve warm over cooked rice with naan or roti. 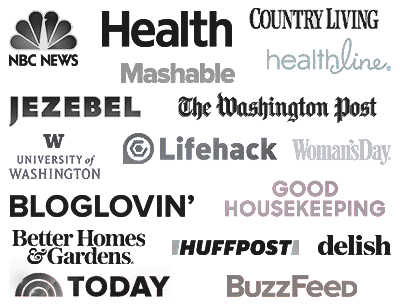 What is an Instant Pot: An Instant Pot is a multi-cooker, it's like seven different appliances all in one! It does the job of a slow cooker, pressure cooker, rice cooker, steamer, yogurt maker, etc. I strongly recommend reading the manufacturer's guide for instructions on how to use your Instant Pot before attempting this recipe. Note: The Instant Pot will default to 30 minutes when set on Poultry, use the down arrow to change to 5 minutes. I used both skinless boneless chicken thighs and breasts, so both can be used with the same cooking time. Nutrition: Nutritional information does not include rice or roti. Please keep in mind that nutritional information is a rough estimate and can vary greatly based on products used. If you use high heat to char the chicken first, then yes use the exact same times we used! Hi – at what point do you cube the chicken? While marinating, or between marinating and putting in the Instant Pot? Thanks! Hi Dave! As per the video, the chicken was cubed right at the very beginning. I got the burn signal too… but now I know why and how to prevent it. 3. Put the thick marinade and tomato mixture on top. I got the burn notice too. Followed the instructions exactly. Is it cause I’m only using chicken breast? I know thighs usually release more liquid? You can try out thighs and see how that works. We never got a burn notice so I’m not sure what the fix would be! You can refer to the IP manual and see if it has any tips. This was my very first attempt at using the instapot. I followed the recipe as written and it was sensational. Delicious. Tender and flavorful chicken. Tasted even better the next day. I’m looking forward to trying your other IP recipes!! Thanks very much. Has anyone experimented with marinating it for say 1 hour vs 24 or 48 hours? what was the difference and was it really that noticeable? I have made this four times & i always always get a burn notice & have to open up my IP, mix it all around, & start all over again. It’s so frustrating! Any idea why that may be happening? That is quite frustrating! We have made this recipe a bunch of times and have never seen a burn notice. I would refer to the manual for troubleshooting! I made it the first time today and it tasted fantastic. I also got the burn notice. I think next time I will put only the oil and onions in to cook, and then the ginger, garlic and spices just before adding the tomatoes and sauce. Taste great!!! Followed recipe as written…my only issue, it was very soupy. Any idea why that would be. I used exact measurements and cook time. You can always add a cornstarch slurry (equal parts cornstarch and water), set your IP on saute mode, and thicken the sauce to your desired consistency! Thank you for this recipe..I’ll be trying it soon. How would you make this with paneer instead of chicken? You can actually make it following the same instructions with paneer! The instant pot version I have doesn’t have a poultry function so what setting should I use and for how long? Just do manual for the same amount of time! Hi! Can this recipe be doubled? Thanks! Delicious and so easy! A couple of changes: I subbed whole coconut milk since I didn’t have half and half, and it still came out great (just a little more coconut-y), and cooked the chicken for 12 minutes ( + release time) for 2 chicken breasts in the instant pot. Came out perfect. I am new to the IP world. After being on natural release for 13 minutes (rather than the 10 you recommended), I was worried about overcooking the chicken and did a quick release. It did seem like the chicken was slightly overcooked. Any idea why the natural release process did not stop at 10 minutes for meal? Thanks! The natural release isn’t a timed and exact process. It’s just that- natural pressure release. Allowing the pressure to come back down to normal without the quick release function – Ours took 10 minutes. Don’t worry, it’s not a big deal if it goes over, and you’re free to use the quick release after 10 minutes if you’re worried about over cooking anything! Tasted great! How does the cook time change when doubling the recipe? You can keep the cook time the same! Feel free to add an extra 5 minutes if you’re unsure. THIS WAS AMAZING!!! Followed the recipe exactly as written (makes me crazy when people change up someone’s recipe!!!). I made it twice in one week we loved it so much!! !